Walbro Intank Fuel Pump provides easy replacement for most imports and supports 190lph. The Walbro fuel pump is an ideal upgrade for any car which has been modified especially good for all-motor setups. The intank fuel pump makes for a clean, easy installation by replacing the factory unit. 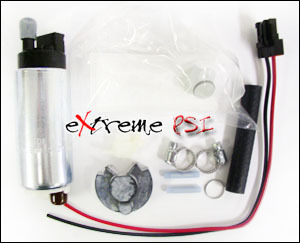 Each kit comes complete with a 190lph fuel pump, filter, clamps, hoses and brackets (if necessary).